Oh my gosh there are a lot of things I don’t like to see in a product in these. 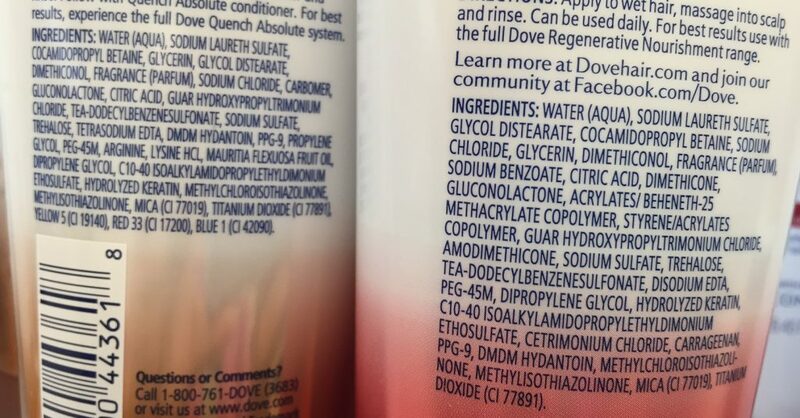 First I see TEA-Dodecylbenzenesulfonate in both the Dove Quench Absolute Shampoo on the left, and Dove Regenerative Nourishment Shampoo on the right. 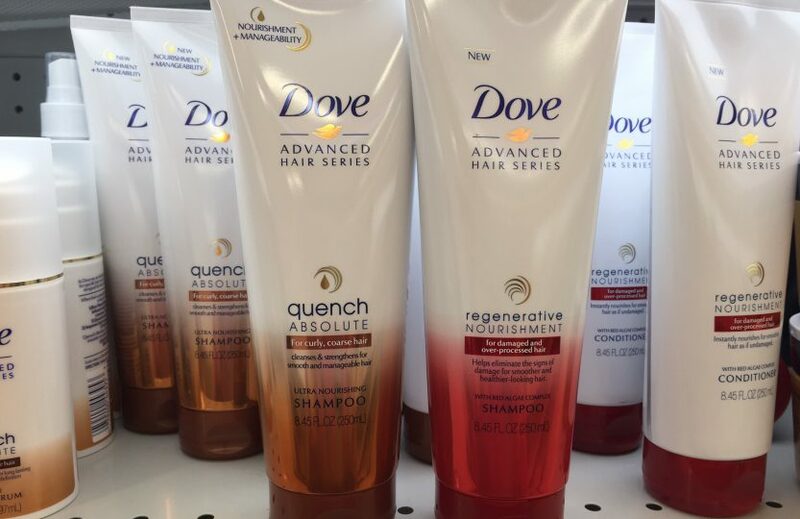 This is a very drying cleanser that’s known to even strip color out of colored and natural hair. In the Regenerative Nourish Shampoo, it has Styrene/Acrylates Copolymer a fixative that can build up in the hair so you’ll need a harsh product like this one to remove it–except every time you use this product, you strip your hair and get more fixative deposited on it. Bleah. I’m sure there’s more yuckiness, and as I get a chance I’ll check them out and add them to the Ingredients Dictionary if needed. But that’s enough for me to definitely not recommend these.